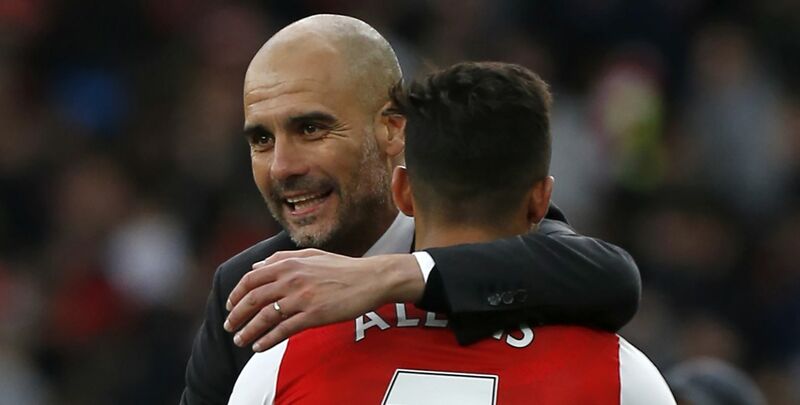 Manchester City may have to wait until summer and grab Alexis Sanchez on a free transfer if Pep Guardiola’s transfer plans haven’t changed. There have been rumours ever since his agreed move from Arsenal to City on deadline day of the summer transfer window collapsed that City would go again in January with a reduced bid. However, City certainly haven’t been short in the goals department, on the contrary they have been flying in from all over the team, and that perhaps makes Alexis less of a priority now. Even if Guardiola does want to move for the 28-year-old in January, Arsene Wenger’s remarks at his Tuesday press conference seem to have poured cold water on the possibility. On the chances of the two superstars remaining next season, he wasn’t so confident. “I am not the only one who can decide that. They have a part to play in that as well. If it’s my decision, yes,” Wenger told the press. So unless, as Wenger put it, something ‘unbelievable’ happens, City fans should probably not expect Alexis Sanchez to arrive in January. Next summer is sounding more likely.